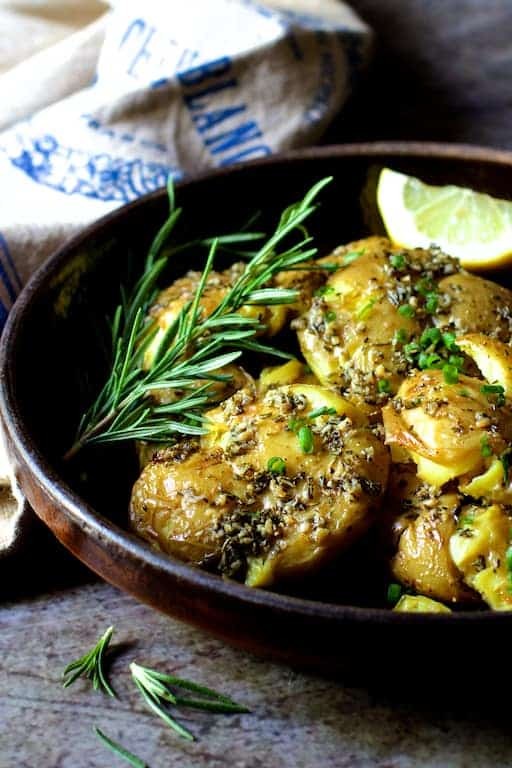 Rosemary Garlic Crushed Potatoes with Lemon Chive Aioli is a beautiful side dish with country French elegance! 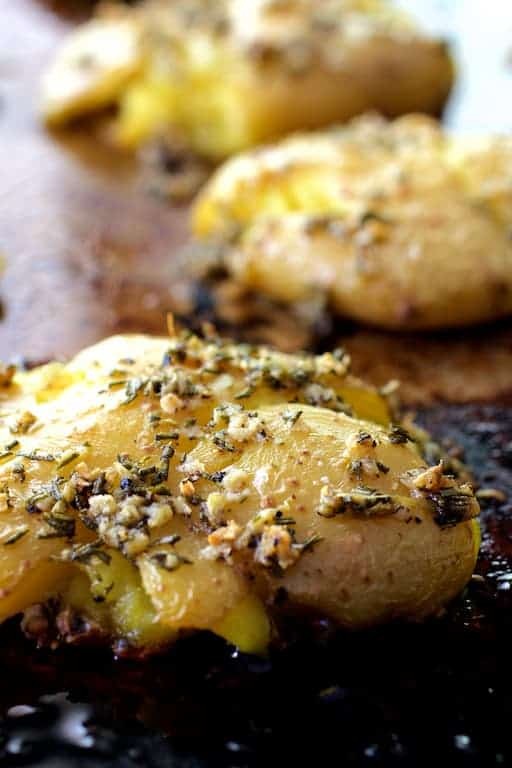 Buttery Yukon Gold Potatoes are cooked, crushed, then brushed with herb-infused olive oil and baked again for the ultimate “twice-baked” potato! Rosemary Garlic Crushed Potatoes with Lemon Chive Aioli are the ultimate twice-baked potato you’re going to love. Crushed (or smashed) potatoes bring back some beautiful memories for me. 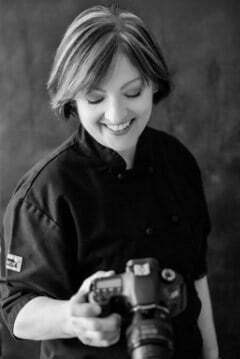 Eight years ago, I had the amazing opportunity to cruise down the Canal du Midi in the South of France on barges with some of my personal chef buds. Historic barges that used to carry goods down the canals of southern France have now been restored into floating bed and breakfasts. Yes, friends, this is a trip you need to take. There were a few ups and downs as all trips tend to have. We dealt with train strikes that made getting to our destination difficult and later, a volcano shut down air traffic from Europe back to the United States. Okay, none of us really cared because…. Hello! We were floating along in the South of France on a barge with gourmet meals prepared by a professional chef every meal every day for a week! Because France is filled with amazing markets and we had access to a kitchen, we made dinner for our hosts one night to thank them for their incredible hospitality. A dish similar to this was on our menu. It’s super easy to do. Simply boil small whole waxy potatoes until you can just pierce them with a knife. You don’t want to overcook them; you just want to be able to flatten them easily. Watch the potatoes carefully and begin removing ones that are done, allowing any others that require more time to keep cooking. Brush with rosemary and garlic-infused olive oil, then place them back in the oven. While the crushed potatoes are baking and developing a wonderful crispy bottom, whisk together the aioli. 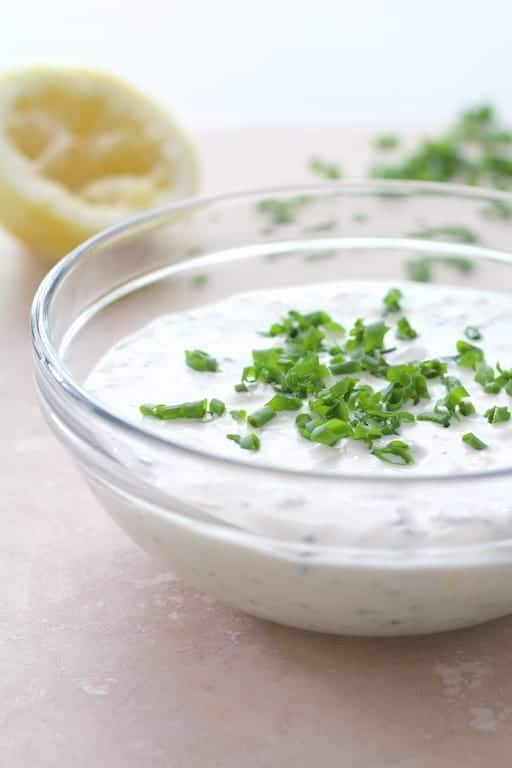 Aioli is basically a garlic-infused mayonnaise the French often serve with potatoes. My version is kicked up with lemon and fresh chives. 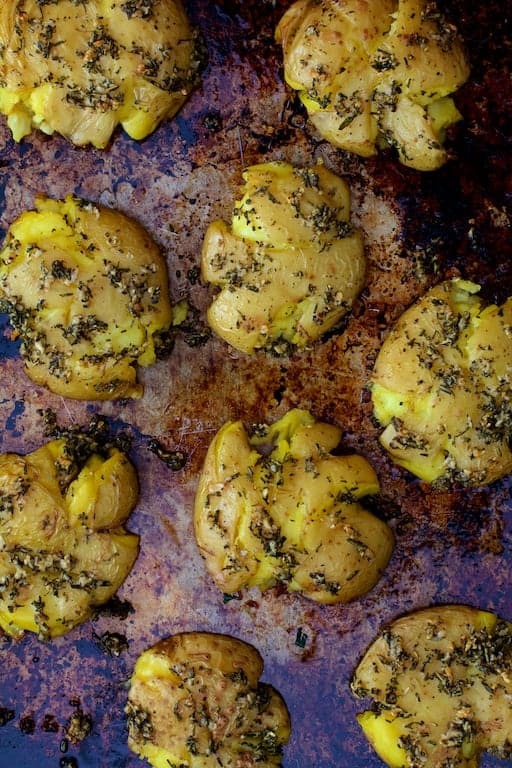 I’m going to stop talking now so you can just scroll and admire…..
How are these for some beautiful spuds? Seriously! 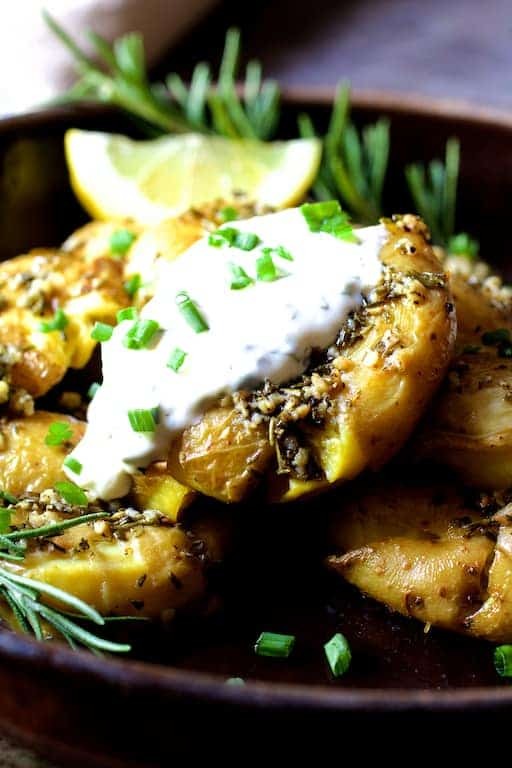 Make these Rosemary Garlic Crushed Potatoes with Lemon Chive Aioli! Rosemary Garlic Crushed Potatoes with Lemon Chive Aioli is a beautiful side dish with country French elegance! 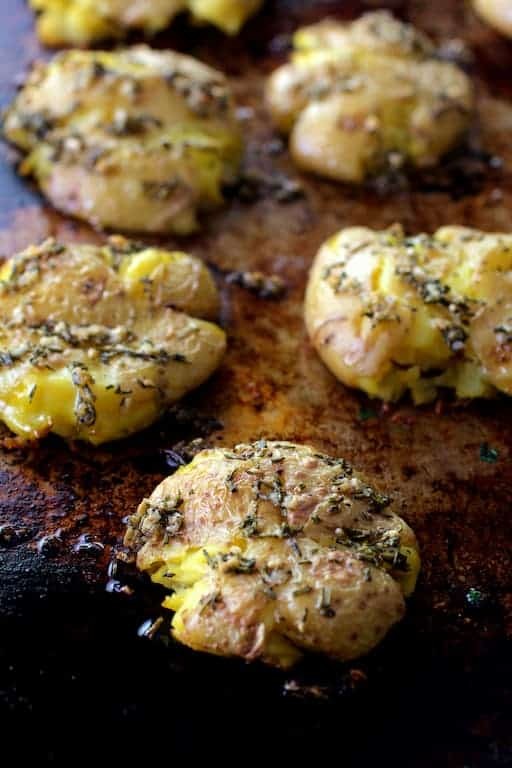 Buttery Yukon Gold Potatoes are cooked, crushed, then brushed with herb-infused olive oil and baked again for the ultimate "twice-baked" potato! Place the potatoes in a small saucepan and fill with water to cover. Add salt to taste. Bring it to a boil and cook the potatoes until they can be easily pierced with a knife. Be careful not to overcook. Drain the potatoes and place them on the prepared baking sheet. Crush the potatoes to flatten, being careful not to overdo it. Combine olive oil, rosemary, garlic, salt and black pepper in a small bowl. 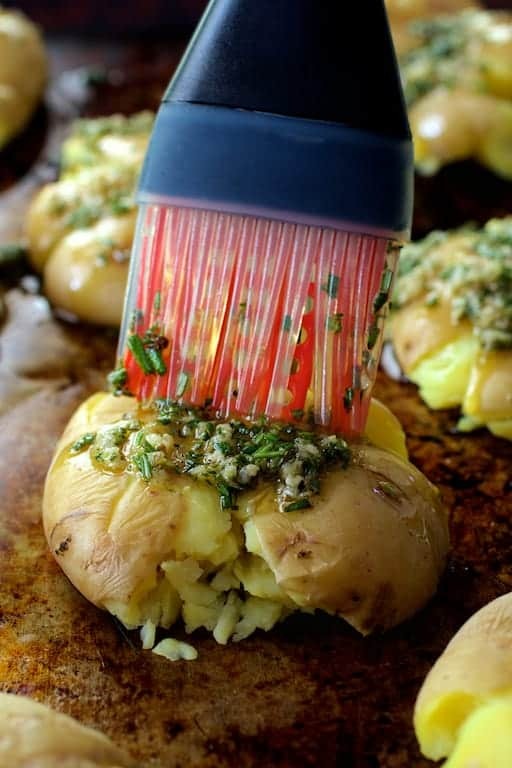 Brush the tops of the potatoes with the oil and herb combination. Bake for 25-30 minutes or until heated through and crispy on the bottom. AIOLI: Combine aioli ingredients in a small bowl. Serve with potatoes. This is definitely my type of side! In fact, instead of the aioli we just may put a little dab of pesto. Next steak night this will be our side. I’ve pinned!! Love how simple this is! Sounds so perfect for summer! That aioli has me totally swooning over here! This looks wonderful! Thanks, Michelle! Yes, it’s a nice change from sour cream which tends to accompany most American potato dishes. Is it possible to go to France without a transportation strike of some kind. When I was there the museums were on strike as were the trains. I was happy that we had prearranged a taxi (and it actually showed up given the demand). And how awesome is a floating bed and breakfast? Now that is something I definitely have to check out. As for these spuds. . .well they look completely irresistible. Of course I can never resist a potato with crispy skin. So good! Hi, Lynn, Ha! I know! They always pick the best time to strike, too… like spring break/holiday which is when that was. Thanks so much!